Behind the Bit: Madeline Blackman, youngest rider at Rolex? Madeline Blackman, youngest rider at Rolex? 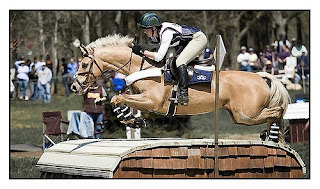 From Ringoes NJ, Madeline Blackman is from a horsie family and she is on the USEF developing rider list for 2009. At 18, she and Bonner Carpenter are the two young riders at Rolex this year. Blackman will be there with her Irish horse Gordonstown, but I can't resist posting this picture of another horse she is campaigning, a palomino thoroughbred/Connemara mare, 15.1, 10 years old. A dressage shot of this pair. I've seen a number of Connemara crosses that could really jump - it seems to produce good results. Madeline's farm is not to far from here. Glad to know a "local" is in the hunt at Rolex. 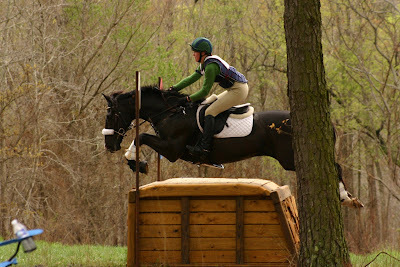 Her family has been in eventing for years. Note on the blog about eventing dressage before. I scribed for a number of years at the big event at the USET headquarters in Gladstone. One of the judges I worked with loved the eventing dressage horses just because you never quite knew what was going to happen. He always judged fairly, but some of his comments to the side were quite amusing. The horses are always so "on" it is amazing to see how well the riders manage to complete their tests. Those cross-country jumping photos always amaze me - it seems incredible that the horses will make it over the jumps! Also - loooove connemaras, connemara crosses. They are excellent horses - very athletic, reliable, steady. I want one!!! 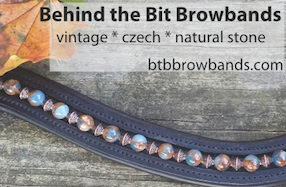 Beautiful, I have a Connemara cross that I'm going to be eventing this year!